In the latest issue of "JUMP SQUARE" (released on April 21st), it was announced that the first new release of the anime "Rurouni Kenshin" will happen after nine years, though no details about it have been revealed yet. Watsuki Nobuhiro's popular manga, "Rurouni Kenshin", was serialized in Weekly Shonen Jump from 1994~1999, and its TV anime series was aired during 1996~1998 on Fuji TV. �This year is the 15th�anniversary since "Rurouni Kenshin" got its anime adaptation, and to celebrate the 15th year, many projects are going on. Other than the new anime, a compilation album, "Rurouni Kenshin Complete Collection", which includes all opening and ending theme songs of TV anime, as well as the theme song of anime film, will be released on July 27th. �For the limited edition, a DVD which consists of �non-credit opening & ending videos, other�privilege videos, and a booklet will be included. 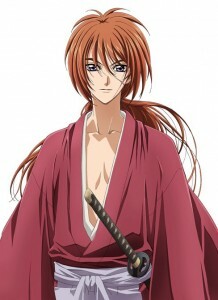 Moreover, starting in August, three titles (anime film which was released in 1997, and two OVA series) will be released as Blu-Ray discs; "Rurouni Kenshin�-Meiji Swordsman Romantic Story- Tsuioku-hen" on August 25th, "Rurouni Kenshin�-Meiji Swordsman Romantic Story- Seisou-hen" on September 21st, and "Gekijouban Rurouni Kenshin�-Meiji Swordsman Romantic Story- Ishin Shishi e no Requiem" on October 26th. 1. JUDY AND MARY - "Sobakasu"
2. THE YELLOW MONKEY - "TACTICS"
3. Suzukaze Mayo - "Namida wa Shitteiru"
4. T.M.Revolution - "HEART OF SWORD ~Yoake mae~"
5. �Kawamoto Makoto - "1/2"
6. L'Arc~en~Ciel - "the Fourth Avenue Caf�"
7. Bonnie Pink - "It's gonna rain!" 8. SIAM SHADE �- "1/3 no Junjou na Kanjou"
9. CURIO - "Kimi ni Fureru dake de"
10. Izumi You - "Dame!" Versailles announces new album, "Holy Grail"